Kendall Toyota used car center is pleased to offer Drive home in your new pre-owned vehicle with the knowledge you're fully backed by the CARFAX Buyback Guarantee. If you are looking for a vehicle with great styling, options and incredible fuel economy, look no further than this quality automobile. The Toyota Prius Two will provide you with everything you have always wanted in a car -- Quality, Reliability, and Character. More information about the 2012 Toyota Prius: The Prius has set the standard for hybrid-powertrains in the US since it was introduced. The current model is the most efficient, most reliable Prius yet and starting at $22,120 before tax rebates and incentives, it's an amazing bargain. With several new Prius variations on the way, the winning hybrid powertrain will be available in more body styles to appeal to more car buyers. Anyone who thought the original Prius was too small should look for the Prius v. Customers looking to maximize their fuel economy would be advised to consider the Prius Plug-in. 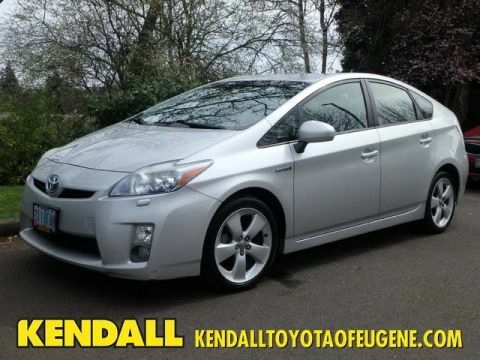 Both feature Toyota's reliable, efficient hybrid technology at a reasonable price. 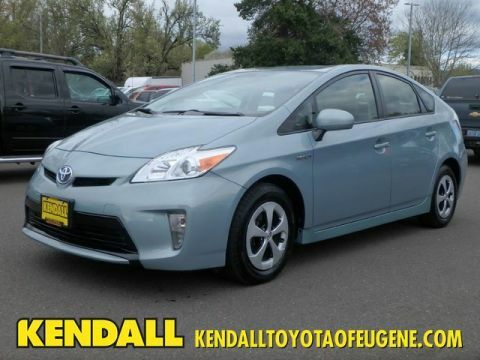 Interesting features of this model are Leading fuel economy, new models provide cargo and passenger flexibility, and proven reliability Located next to the foot bridge on Good Pasture Island Road, come see us at Kendall Toyota Used Car Center.